Well, he’s done it again. 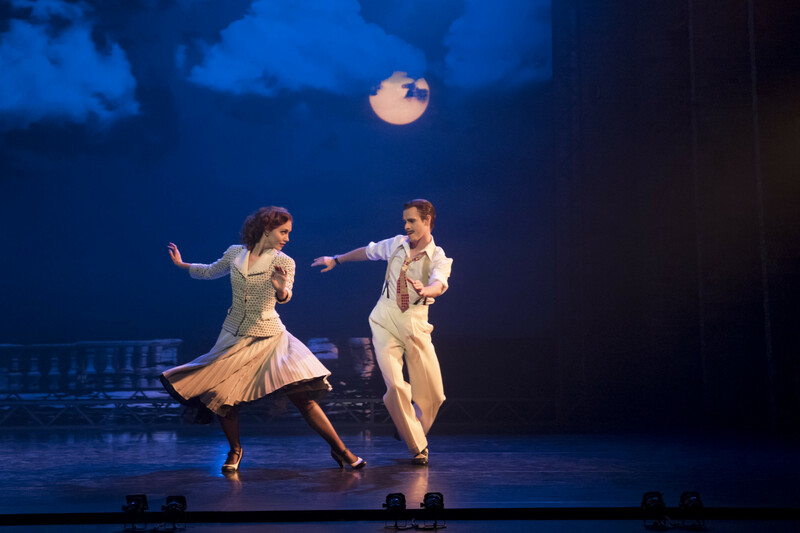 Matthew Bourne’s The Red Shoes, based on the iconic movie by Michael Powell and Emeric Pressburger is a triumph, whichever way you look at it. Scenic-wise, music wise and not least as a gripping story, from first to last you know you are in the hands of someone who loves and has complete mastery over the technical and dramatic qualities of theatre. Bourne’s dance works have always defied exact categorisation, taking full advantage of classical ballet’s lifts and port de bras whilst keeping his choreography also close to the floor – his dancers, though ballet trained, dancing bare foot or in pumps. 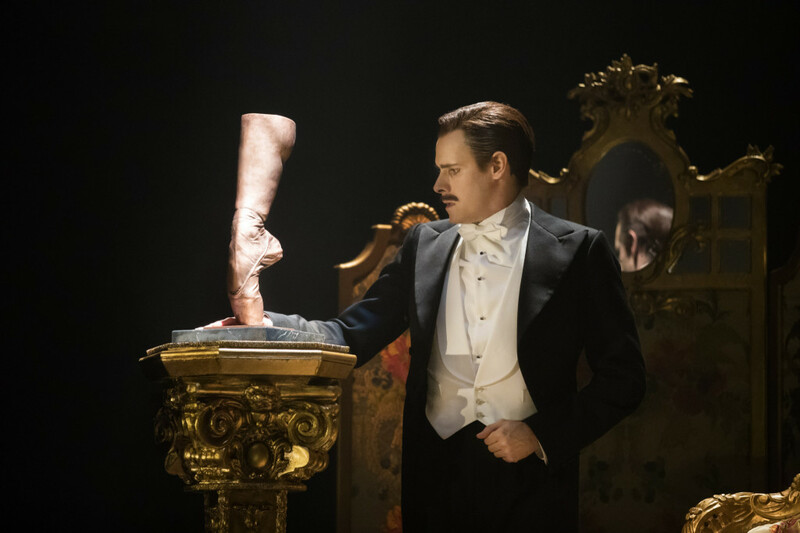 In The Red Shoes, however, set within a ballet company, he has been forced to take on the classical form and still comes out smelling of roses. He may not be a Kenneth McMillan in terms of technical adventurism or as radical as Emma Rice’s equally legendary Kneehigh production. But my goodness, he certainly has all of McMillan’s flair when it comes to delivering drama from a company who could probably dance a dictionary and still bring zing and personality to it. 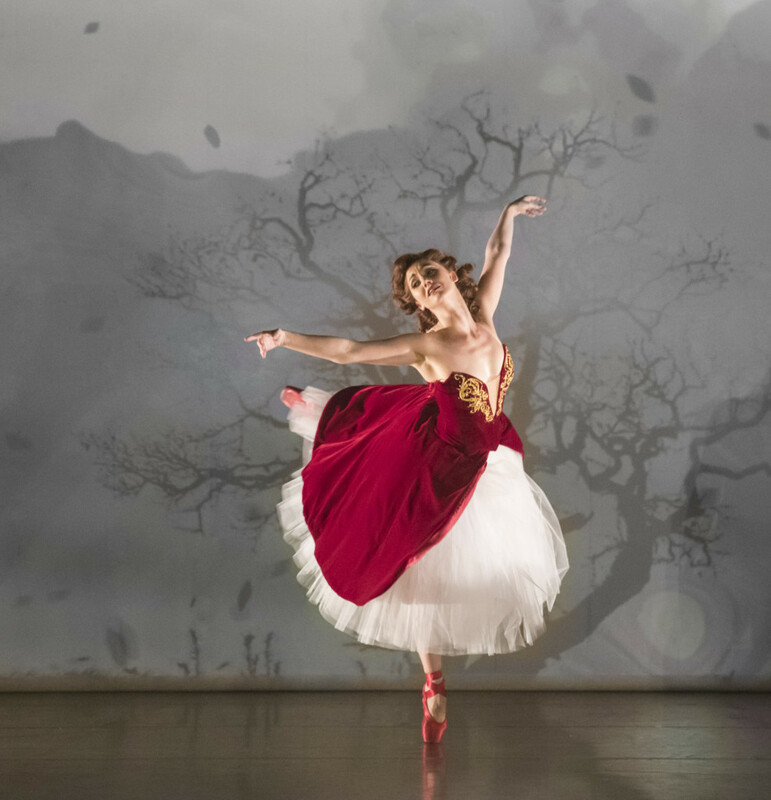 The Red Shoes, you may recall, is also based on the Hans Christian Andersen fairy tale of a young girl whose dancing ambitions condemn her to dance forever. In Bourne’s The Red Shoes, as in the movie, the allegory becomes one also about power and control with the Mephistopheles/tempter in the shape of a Diaghilev like dance impresario, Lermontov who `falls in love’ or rather demands that his `muse’ Victoria Page, renounces everything in life for her art, including her love for young composer, Julian Craster, with tragic consequences. 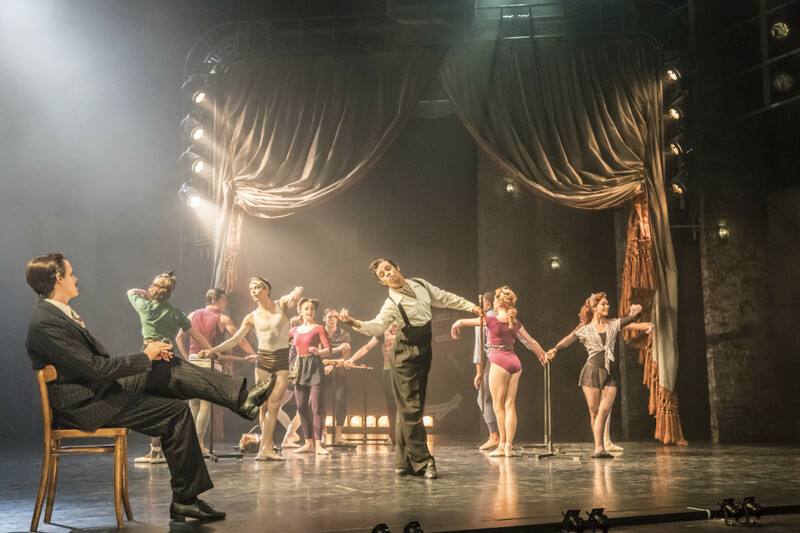 What is most remarkable about Bourne’s Red Shoes, apart from its sheer dance-iness and mixture of styles with dancers on pointe, is the swiftness and range of atmospheres in its transitions. We start off with a ballet-within-the-ballet – one of many coup de theatres – swiftly moving to Covent Garden, then Monte Carlo (de Basil’s Ballet Russe were indeed stationed on the Riviera in the late 1930s). Page makes her way through the ranks, becomes Lermontov’s leading dancer, seen in a modernist ballet actually called The Red Shoes. Thanks to Lez Brotherston’s wonderfully versatile set – a proscenium arch that swings sideways or backwards according to the action – this as easily takes on a surrealist quality, a stage setting for a Picasso design, or later a dream/nightmare of wind and nature epitomising Page’s personal and professional battle with Art versus Love. As Page, carrying the weight of the show, Ashley Shaw on press night was simply outstanding – technically speedy, light, and fearless, matched by the dramatic qualities New Adventure artistes are known for with Sam Archer’s demanding Lermontov and Dominic North’s struggling composer, Julian Craster. But the real stroke of genius lies in Bourne’s decision to use Hollywood composer Bernard Herrmann, re-orchestrated by Terry Davies, for the show’s score. Taken from a variety of work for film including Fahrenheit 451, Citizen Kane and the less well known, Concerto Macabre (from Hangover Square), Herrmann’s music provides an ever changing but always full-bloodied romantic inspiration. 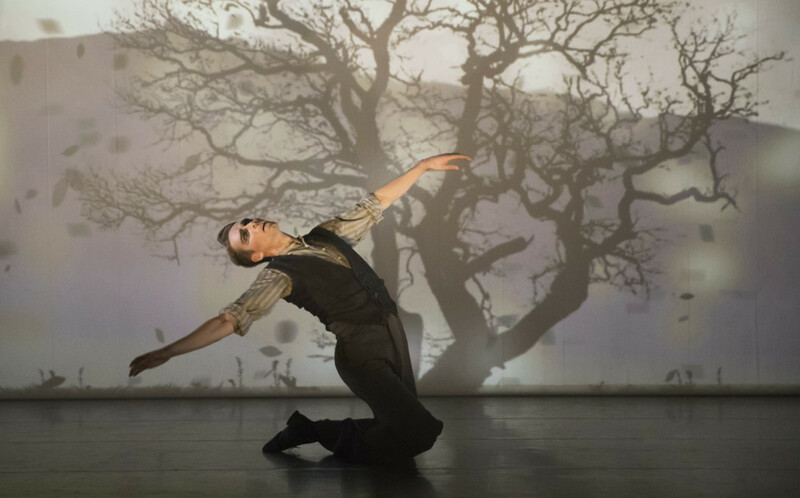 Worth several visits, The Red Shoes may turn out to be Bourne’s finest – multi-layered, intellectually and artistically satisfying and a paean to the magic and fusion of dreams and reality that British dance theatre at its best can provide. World premiere of The Red Shoes at Plymouth Theatre Royal, Nov 21, 2016; first perf at Sadler’s Wells Theatre, London, Dec 6, 2016, then tours throughout the UK ending at Leicester Curve, May 20, 2017.